The Chair of the National Assembly Tsveta Karaiancheva, Deputy Prime Ministers Tomislav Donchev and Ekaterina Zaharieva, Labor and Social Policy Minister Bisser Petkov and Health Minister Kiril Ananiev, Deputy Ministers of Education and Science, Ombudsman Maya Manolova, Ambassadors of Great Britain, Denmark, Germany, Austria , Belgium, France, Ireland, Switzerland and many other institutions and organizations hosted children from different ethnic groups from more than 30 schools from across the country on 14 January to celebrate Vasilitsa together. This year, however, Center Amalipe refused to send children to Minister of Defense Krasimir Karakachanov for his discriminatory speech regarding the entire Roma community. The Jubilee 10th edition of an initiative in Sofia is part of the national campaign, organized by Amalipe Center, community centers and schools from all over Bulgaria, aiming to celebrate and popularize the Vasilitsa holiday. 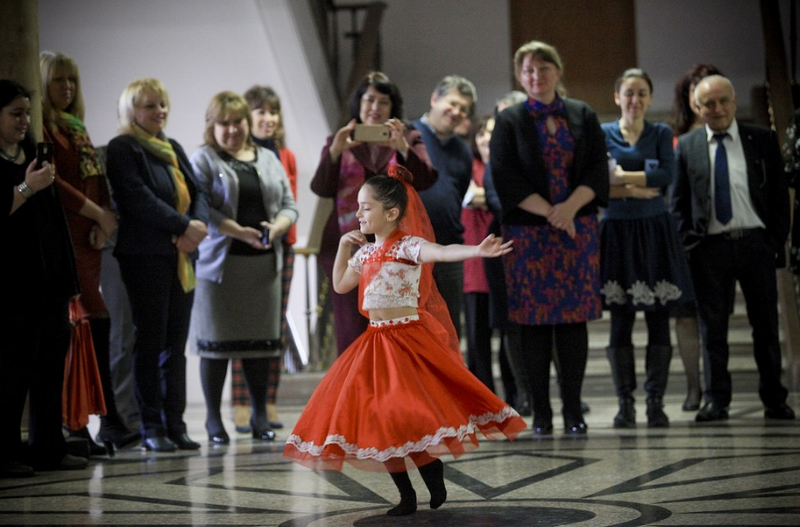 The campaign gives opportunities to schoolchildren from schools all over the country to wish health and welfare with the traditions of Roma and Bulgarian folklore. The schools involved in the initiative are part of the Amalipe Center's "Every student will be a winner" network, which includes 270 schools across the country. Everything about the anniversary celebration of Vasilitsa to significant institutions in Sofia can be read here. Center Amalipe is grateful to all the schools that took part in the celebrationofVasilitsa and to all the institutions that welcomed the children, and happily shared their holiday.